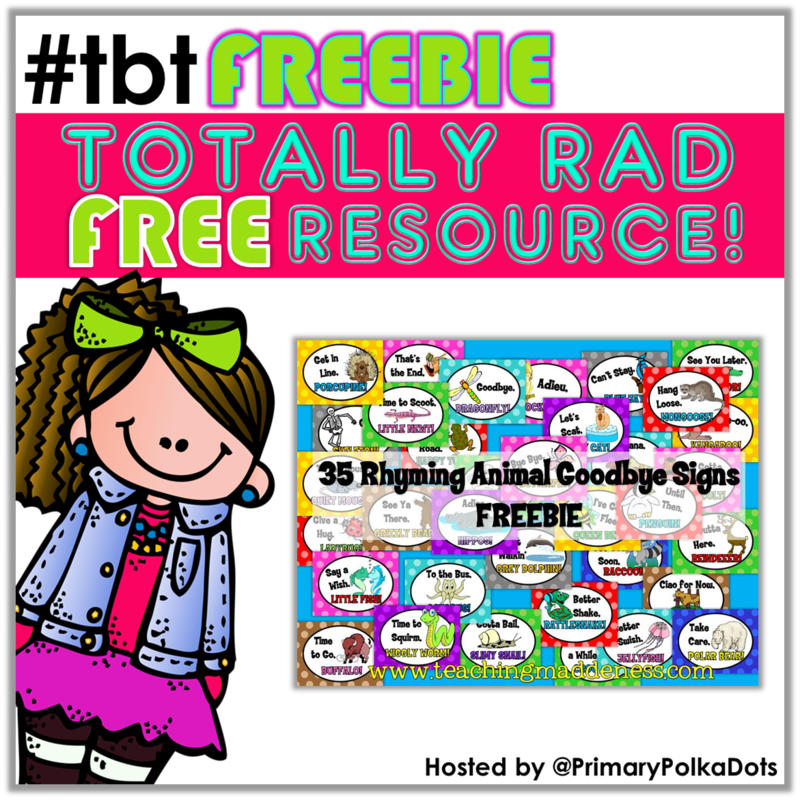 I'm joining Primary Polka Dots for Throwback Thursday Freebie over on Instagram today and thought that I would share it here on my blog in case *gasp* you aren't on IG yet. 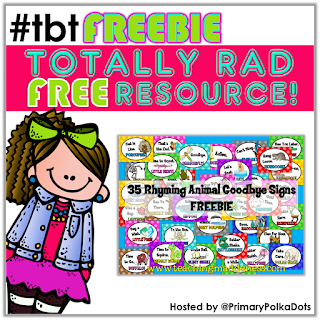 Each Thursday for the rest of the summer, I'll be sharing a previously shared FREEBIE in case you missed it! 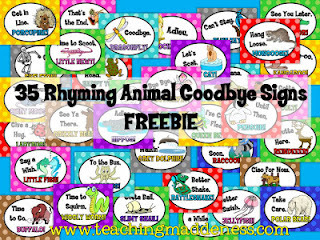 Today I'm sharing my set of 25 Animal Goodbyes. These are a major hit in my classroom! I post one per week right inside of our classroom door. As students leave in the afternoon, they say the first part of the rhyme (ex. See you later) and the rest of the class responds with the second part of the rhyme (Alligator). It's like our own secret little goodbye and they EAT.IT.Up! They can't wait to see it change each week and if I forget.....they'll remind me, for sure! I hope you'll grab them and give them a try in your classroom! Enjoy! Love this! Thanks so much for sharing. I look forward to using them with my first graders this upcoming year! Thank you! These are cute! Thank you so much for sharing such a wonderful resource! I LOVE when we can say crazy, fun things with our kids. I love to keep them on their toes, so something that they can share in will be great! Thank you for making this free resource for those of us who aren't so creatively talented!